Drawing on historic elements, the new property will be called The Oxbow Hotel, owners will focus on the outdoors, music, and arts, for the property’s design aesthetic and ongoing programming. EAU CLAIRE, WI – Steady progress has continued on plans for the renovation and re-launch of downtown Eau Claire’s former Green Tree Inn & Suites, 516 Galloway Street. 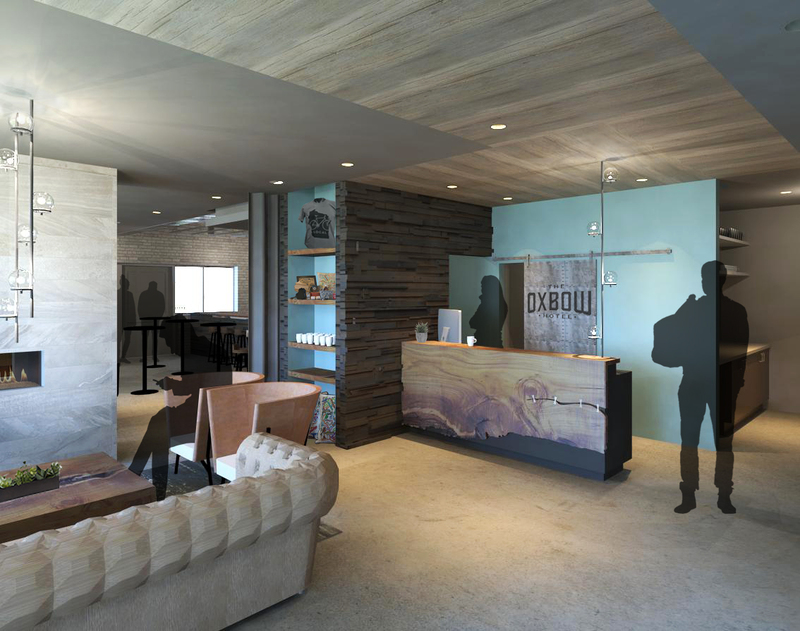 Interior demolition has already taken place and new construction is starting this month with the intention to open in the summer of 2016 as The Oxbow Hotel – an independent “boutique” hotel serving the needs of an increasingly active city center. With the property’s 30 modern rooms, a restaurant and bar, and shared common spaces both inside and out, the establishment will gain a unique local identity as a highly creative space through two major vibes: 1) a deep evocation of our community’s outdoor and recreation scenes, and 2) a strong connection to Eau Claire’s burgeoning, nationally recognized music/art scenes. Guests and locals will experience these elements throughout the space, as well as through ongoing programatic offerings and events. With an overarching goal of evoking a genuine sense of place in the property, and through the unique amenities planned for the site, partners anticipate the property becoming a distinct destination loved as much by locals as by travelers.